The blue part on the right is Asia (from a continental plate point of view – this is all Turkey after all). 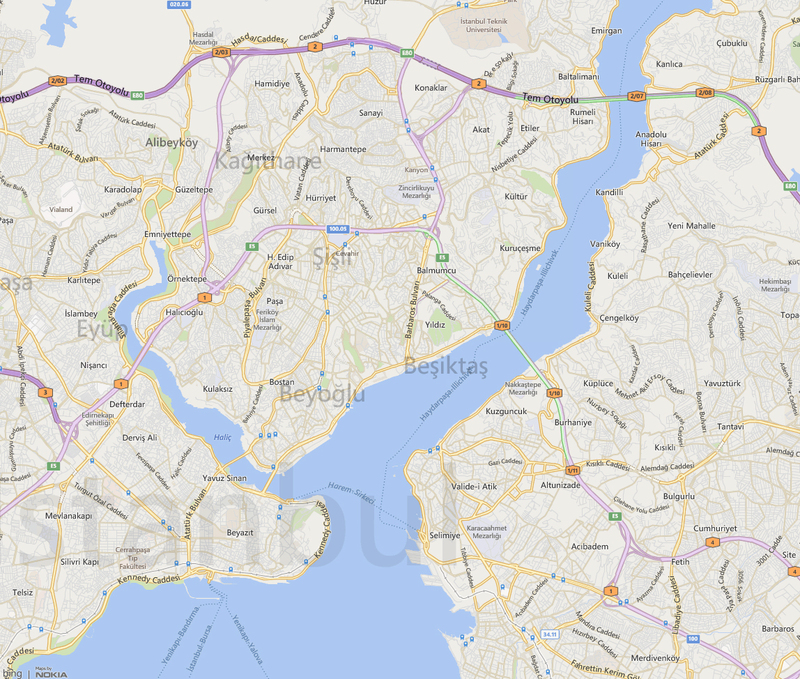 It is separated from the other two parts by the Bosporus (http://en.wikipedia.org/wiki/Bosphorus). 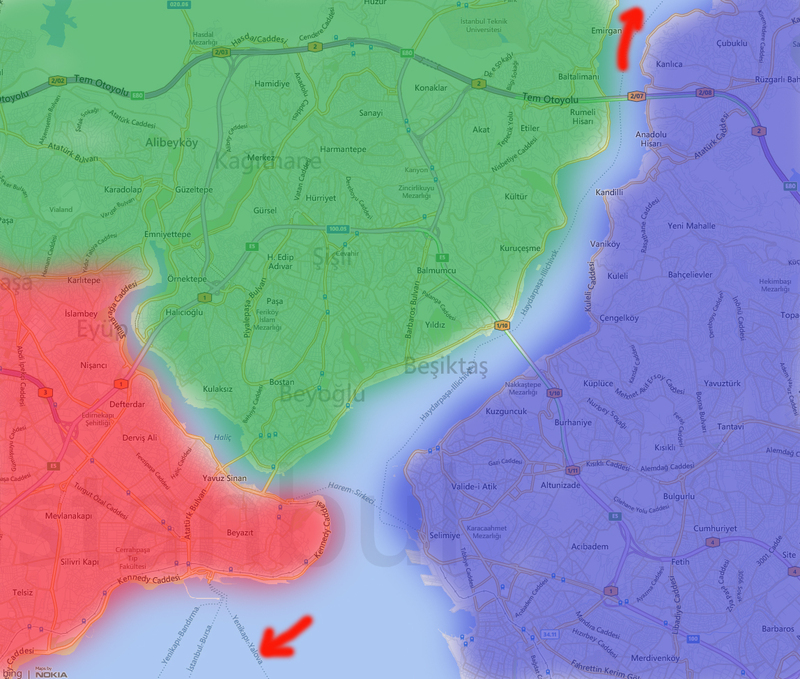 Both the red and green bits are parts of Istanbul, separated from each other by the ‘Golden Horn’. Now where do I get from here (on water)? See the red arrows: Going south-west I’ll (eventually) get into the Mediterranean sea; going north-east I’ll get into the Black sea. 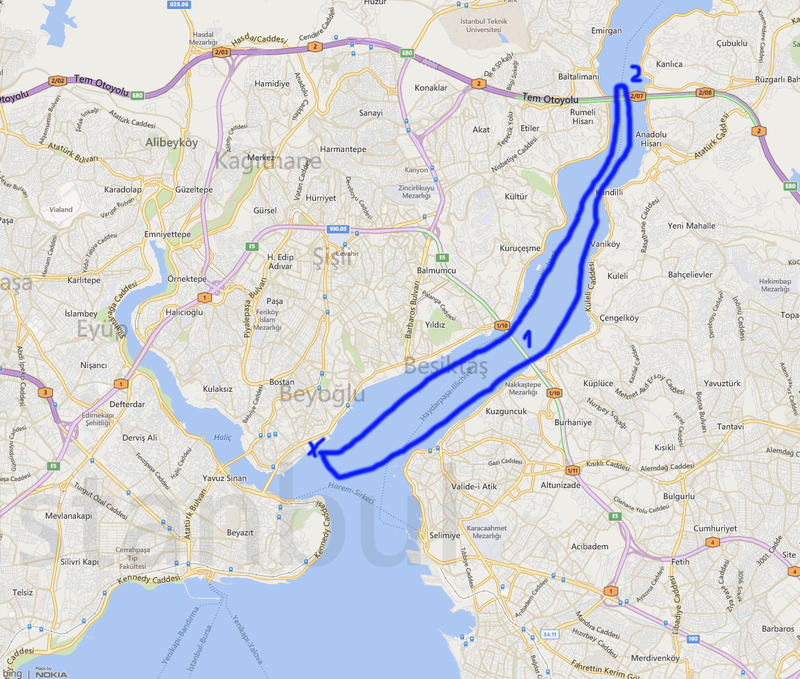 We started at the “X”, then cruised along the European side of the Bosporus, went under the two bridges crossing the Bosporus (see numbers 1 and 2); turned back and cruised along the Asian side. Very nice views of Istanbul at night – not exactly easy to take a picture off (with a mobile phone no less).